Ballet legends Karen Brown of Dance Theatre of Harlem, the first major black dance company, and Arthur Mitchell, the company's founder. Director and choreographer Sean McLeod of Auburn and ballet Legend Karen Brown, guest artistic director of Ballet Wichita, worked together last year on the ballet company's production of "The Nutcracker." Arthur Mitchell is a dance icon of monumental proportion. He was the light and way for many black classical ballet dancers, but he is not a legend. 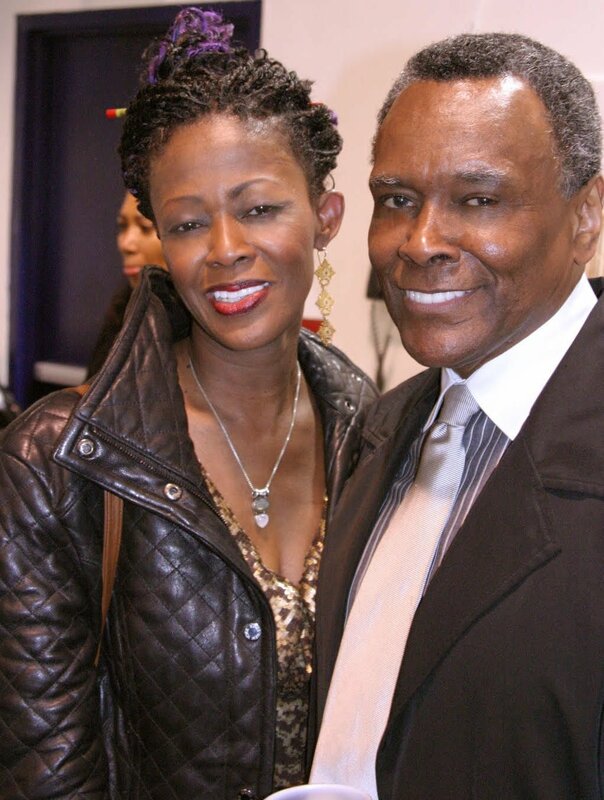 Citing names and careers like Virginia Johnson, Karen Brown, Eddie Shellman, Robert Garland, Charmaine Hunter, and too many more to mention, it's clear Arthur Mitchell, who died last month at the age of 84, was more than a legend; he was a legend maker. Today and at the very top of classical ballet, we are having a different discussion about blacks in ballet. With the economic returns from attention that the promotion of Misty Copeland gained — dance's version of the "Black Panther" movie effect — conversations in boardrooms of every major and regional ballet company are discussing, out of fear or great excitement, the meaningful inclusion and equity of black people once again. Leading classical ballet contributors and every noted funder have renewed inquisitiveness and questions about tangible actions in which to take. "How do we make space for talented black people in classical ballet? How do we get black dancers?" These are the questions that are, rightfully, plaguing those in the ballet industry today. Classical ballet from its very inception has systematically shut black people out, as it was born in the royal courts of France. This reality makes it difficult for ballet companies to find the beginning point to the conversation of diversity, equity and inclusion. Classic ballet is a perfect silver sphere where the question is not helping black talent find the door to opportunity, it's admitting that no door exists. This entire discussion is the life work and masterful accomplishment of Arthur Mitchell, co-founder of Dance Theatre of Harlem, and opportunity prospector of the gold that was the right for black people to study classical ballet and to be taken seriously while doing so. As a principal dancer beginning in 1956 at the New York City Ballet under the tutelage of George Balanchine (joining NYCB in 1955), Arthur Mitchell gave up everything to be that light for black people years later. He was a person who by his very nature would become an icon. For myself as the founder and presenting partner of the Black Ballet Discovery Project (Finding Accomplished Choreographers Opportunities Now) and the Black Ballet Choreographers Symposium and Commission Conference, I have a front seat at the renewed table of possibility and equity that exists only because Arthur Mitchell dared ask the question, "What about us?" He filtered that question through his own access and national platform for the benefit of black people and all people of color beginning in 1969 with the co-founding of Dance Theatre of Harlem School. His sustained example gave birth to so much possibility, including me as the President and CEO of the New York Institute of Dance & Education. Seeing Dance Theatre of Harlem's "Firebird" at 14 years old made the idea of doing classical ballet as a black boy, a class my father put me in against my will, conceivable. With that, even as a professional dancer I still found it hard to think of myself as a ballet choreographer because the industry outside of DTH made that delineation nearly impossible for black persons to make a living. I could not feed my family with such a title or job description. However Arthur Mitchell's legacy manifests itself globally every day. Last year by invitation of Karen Brown, Ballet Wichita's then guest artistic director and a ballet legend of Dance Theatre of Harlem fame, I was commissioned to create a new version of the coveted "Nutcracker" ballet on a Midwest ballet company in its 44th year. Two black international personalities leading a classical ballet company in the Midwest and given reign over the "Nutcracker"? It was unheard of. That only happened because Arthur Mitchell created the legend Karen Brown whom in turn used her authority and insight to hire me — to create opportunity where normally it would not exist for black ballet choreographers. Today I can make the assertion that I am a classical ballet choreographer and that I create methodologies to help national ballet companies figure out and embrace policies that include the talent of people of color in more influential roles such as director/choreographer, executive director, foundation president, or even as an innovator of where classical ballet technique goes in the future, which is the mission of the Black Ballet Discovery Project. I and so many who look like me (and not), owe a great debt to the icon Arthur Mitchell. However I, for one, will not call him a legend, because for more than 60 years he has truly proved himself a legend maker. Auburn native Sean McLeod is president and CEO of the New York Institute of Dance & Education, founder of Reaching for Higher Ground Consulting, executive producer of the New York Dance Festival, and founder and presenting partner of the Black Ballet Discovery Project and the Black Ballet Choreographers Symposium and Commission Conference.